There’s something special about things that sparkle and shine, flow and move. These are the things bring that bring richness and warmth into our lives. We have all opted to set aside one (at least!) outfit for those special occasions that call for pretty things to be flaunted. Simply knowing you have a beautiful, special and expensive gown hanging in the closet can lift your spirits, freeing the imagination to think, “Where might I wear that next?” So if you don’t already have one, why not hunt down some evening dress patterns and make one! If you already have one, there’s always room for one more. Let’s be honest, relatively inexpensive (and often gaudy) evening dresses can be found at most department stores and shopping strips. 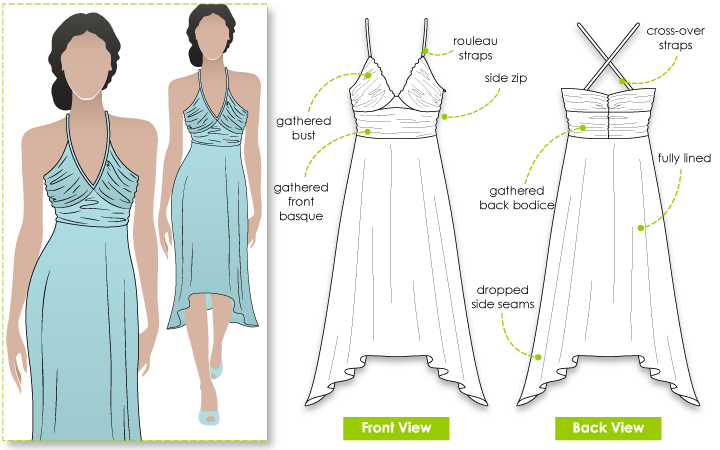 Sewing your own evening gown will give you access to a greater range of dresses for your hard earned money. If you have no deadline for your dress (no one has sprung a late wedding invitation on you) be patient and take the time to find some beautiful fabric. Amazing fabric will MAKE your dress, cheap fabric will show. 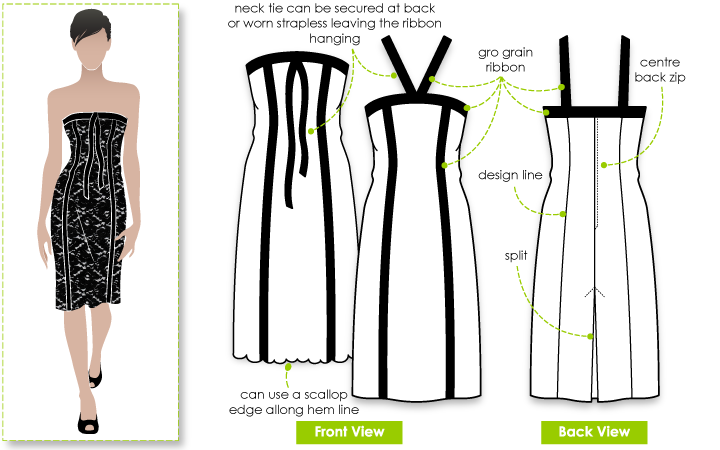 The first thing to do is find a few evening dress patterns and choose one that suits your personal style. Second is to set a budget for your fabric. You can always save money by making a dress that calls for less fabric, a little black dress is timeless and works a treat for almost any occasion. 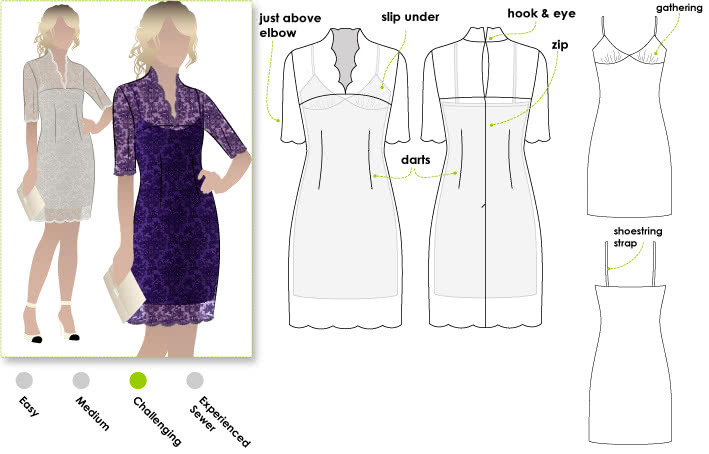 Another way to add an extra special touch to evening dress patterns is to add embellishments. If you choose to order a less expensive, plain fabric you can save money for some special details. Silk ribbons, jeweled motifs, and feathered trim are all wonderful ways to bring something special to evening dress patterns. You don’t always have to follow the pattern when it comes to embellishments because they are incredibly easy to add; a ribbon can be easily incorporated to form a belt or a prominent broach added as the focal point of your dress. If you are savvy enough you can also make them interchangeable. That way you can add multiple dresses to your wardrobe for the price of one!